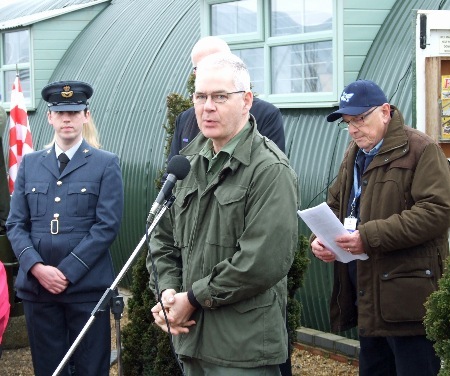 Overcast skies and rain showers meant that only one aeroplane showed up for the traditional Easter Saturday opening of Sywell Aviaition Museum … but the chilly weather didn’t stop more than 20 MVs supporting the event. 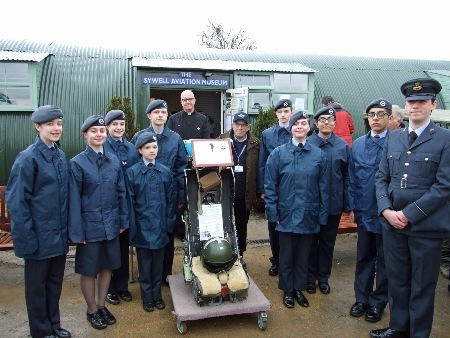 A plaque to mark the 100th anniversary of the RAF and the 90th year of Sywell Aerodrome was donated by 378 (Mannock) Squadron, Air Training Corp and a crowd gathered to watch its unveiling. 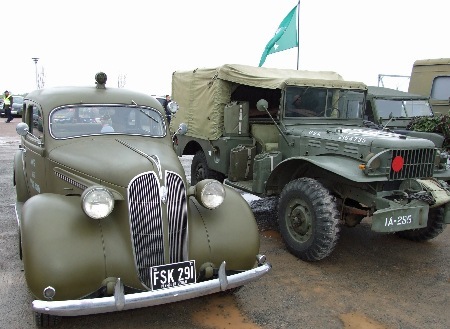 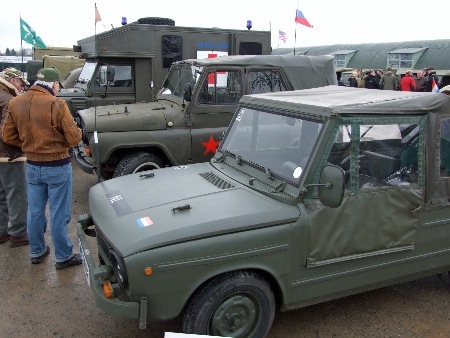 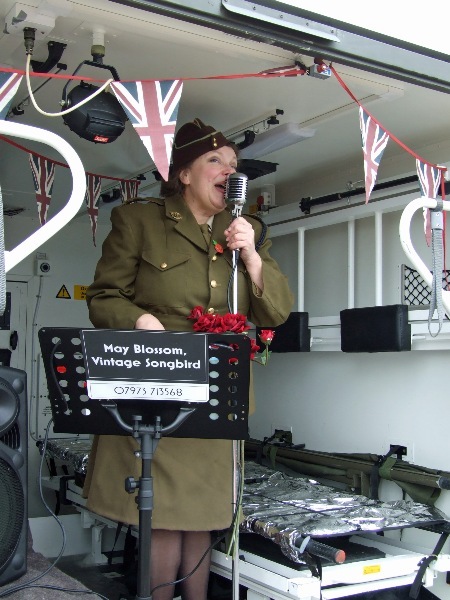 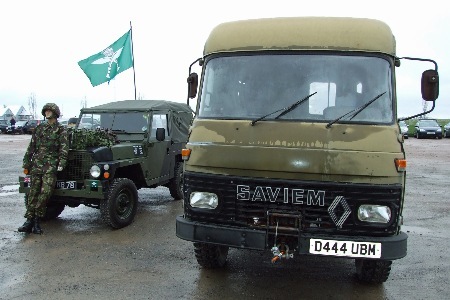 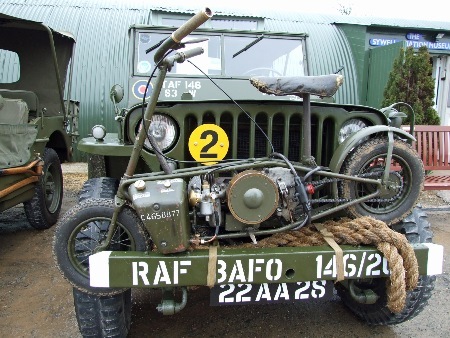 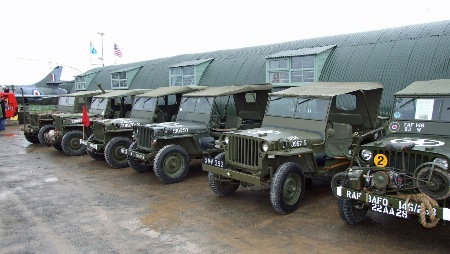 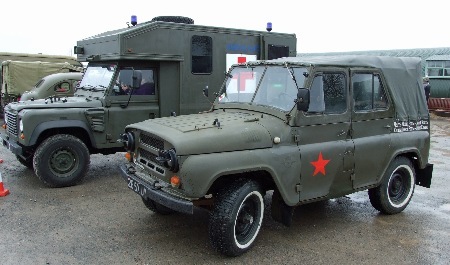 On show were 12 Willys, Ford and Hotchkiss Jeeps (one carrying a Welbike), Land Rover TAC-R2, Land Rover 110, Land Rover Lightweight, Land Rover Ambulance, Renault Saviem, Dodge Weapons Carrier, Plymouth Sedan, DAF T244 and GAZ 469. 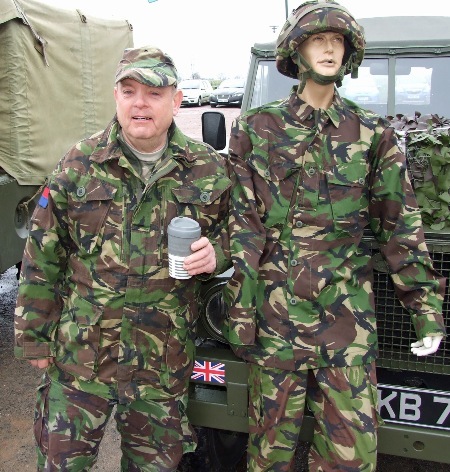 Spot the dummy . . .